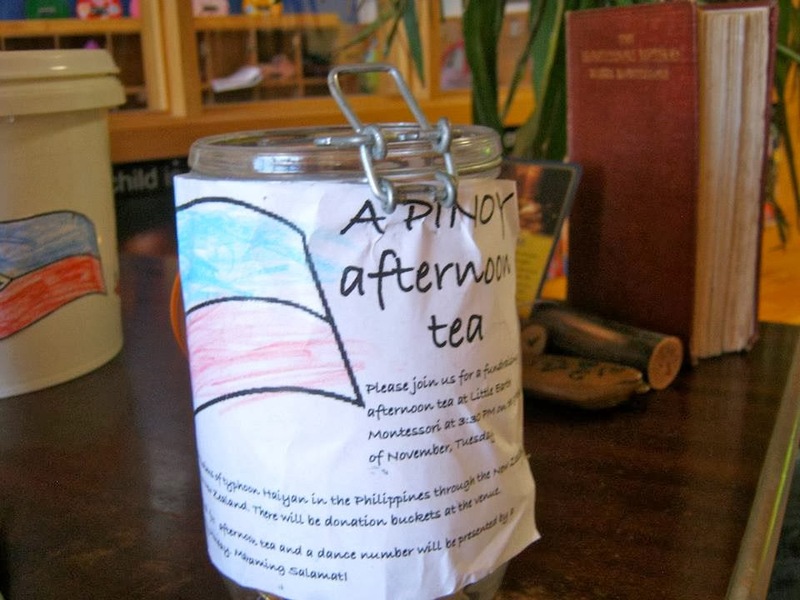 Little Earth Montessori pupils have been learning about compassion through fundraising efforts to help those affected by Typhoon Haiyan in the Philippines. Parents at the Paraparaumu are holding a garage sale to raise money for the storm-ravaged nation on Sunday, December 15, at the Waikanae Beach Hall. Donated items will be sold on a "make an offer" basis. Further donation can be dropped off on Saturday, December 14, between 4pm and 8pm at the hall. 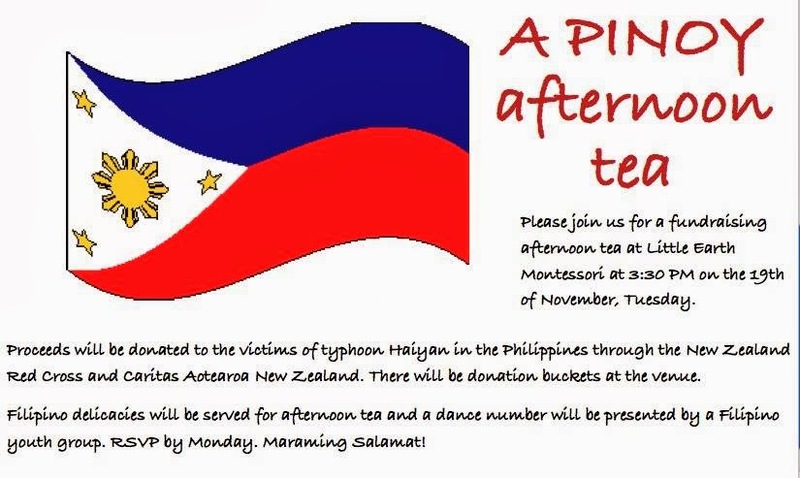 Proceeds will go to the Philippine non-government organization, Samahang Operasyong Sagip, to provide relief, medical and livelihood assistance to remote communities devastated by the storm, said spokeswoman Mayie Pagalilauan, who comes from the Philippines. 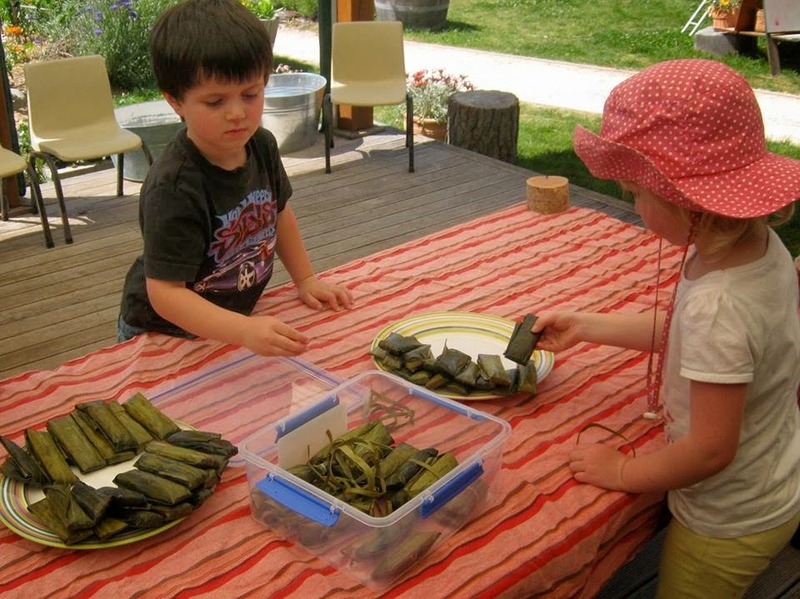 The pre-school also held a fundraising Filipino afternoon tea last month, where children and families got a taste of Filipino culture, through food, dancing by Munting Bayanihan Dance Ministry, and songs by teenage group Jizzles. served suman at the "A Pinoy Afternoon Tea"
The school has raised more than $1000. 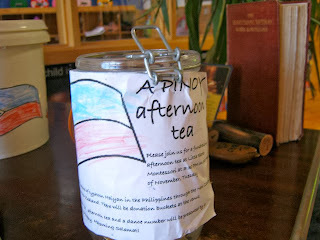 Miss Pagalilauan said some children had volunteered to bring all their savings from their money banks to help the Filipino children who have no food or clean water. The genuine generosity of the children moved me to tears and inspired me to do as much as i can to help my countrymen," she said. She said the spirit of compassion and love shown by New Zealand had been very moving. "Each one is doing their best to reach out and help in their own special way," she said. "In the the Philippines, we call this bayanihan spirit...It is a spirit of mutual help and concern which has become the backbone of family and village life throughout the Philippine archipelago." Thanks for posting this. I hope the efforts and sacrifices of everyone to help our country rise up again will be appreciated and celebrated by the Philippine government by looking after the needs of our affected kababayans. The money we raised at our preschool Pinoy afternoon tea was divided among three agencies- NZ Red Cross, Caritas, and SOS. I am very grateful to the Little Earth Montessori Community for agreeing to give more to SOS from the collection despite our flyer advertising that the proceeds will go to the first two organisations only.